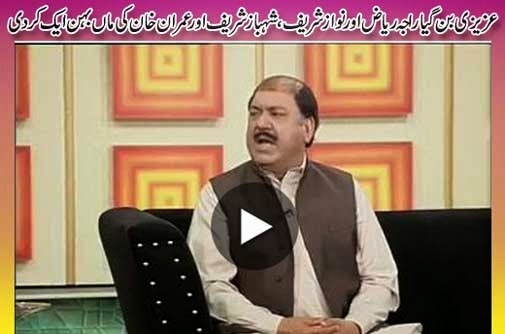 Watch Dunya News Hasb-E-Haal Latest Episode 6 December 2014, Azizi as Raja Riaz, Discussion on news by Azizi, discussion on the airport security and civil aviation servants rude behavior with passengers, discussion on adab pary and interview of PPP punjab Raja Riaz. Hasb-e-Haal is the infotainment program broadcast by Dunya TV Pakistan which is widely watched in local and international community of Pakistani's. Watch Hasb-e-Haal with Najia Baig, Sohail Ahmed as Azizi and Junaid Saleem.